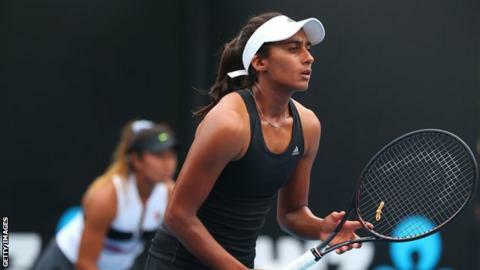 World number 253 Naiktha Bains has made a formal request to both the WTA and ITF to change her playing nationality from Australian to British. Bains, 21, was born in Leeds but emigrated to Brisbane aged eight, and holds dual citizenship. She has won two singles and 12 doubles titles on the ITF Tour. Bains' situation is a reversal of that which saw Olympic silver medallist Laura Robson move to the UK aged six having been born in Melbourne. The move to change her nationality has been made independent of the Lawn Tennis Association.